After taking the medal you can take a commemorative photograph. Each participant will receive a bag with several drinks and food on Garibai and Peñaflorida streets. It’s divided in two to improve the affluence of people. In the archway of Plaza de Gipuzkoa. The bib must be presented to collect the baggage. It will be a massage zone, dressing rooms and a big tent with drinks and extra meal for the runners. In the municipal Sports Complex (Zuhaizti, Manteo, Velodrome Anoeta) and public beach showers on la Concha. Signs from A to Z located in OQUENDO SQUARE, where the participants can meet their families and friends under the sign with the letter of their surname. 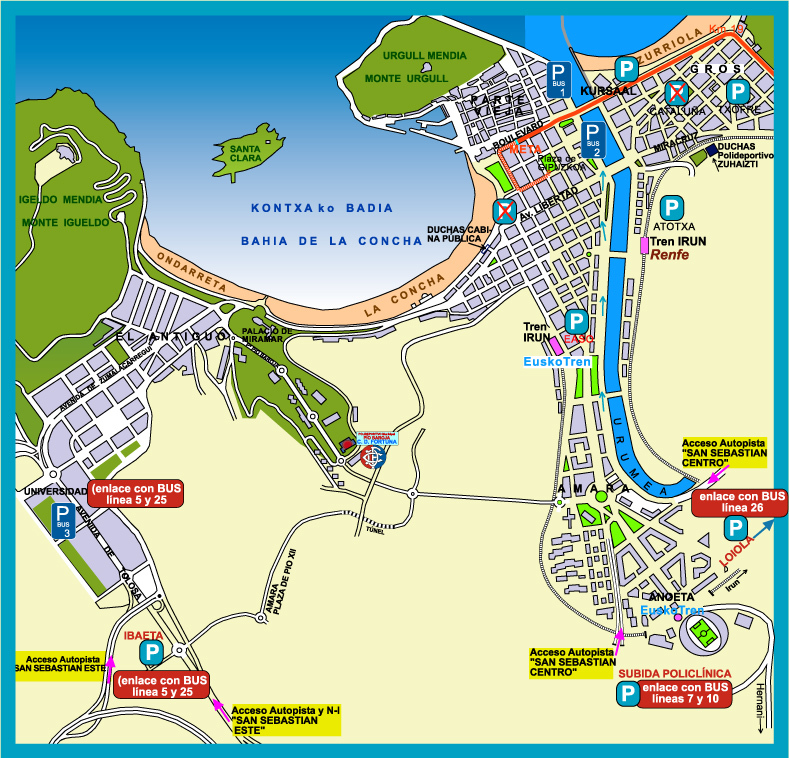 The parking zones are close to the Antonio Elorza Velodrome, in Ilunbe (Bull fight ring) and surroundings. 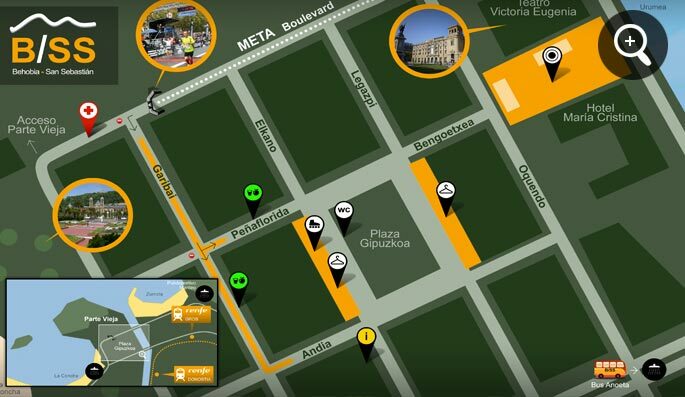 There will be free buses to go there from the finish area, Avenida de la Libertad num. 14 (view map of San Sebastian or photo ).